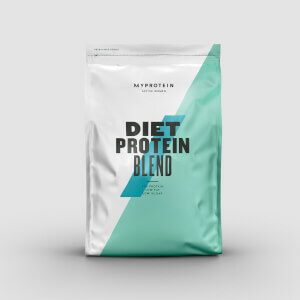 A delicious shake that delivers 39g of protein per serving, along with other ingredients specifically chosen to support your weight-loss programme. Impact Diet Whey is a whey protein powder that has been specially developed to provide a boost of protein without unnecessary carbs. We've also added extra glutamine, which naturally occurs in protein, which helps to build and repair new muscle1 — important when you’re looking to tone up. What’s more, this protein shake is also great for vegetarians, so you can enjoy the benefits of Impact Diet Whey whatever your lifestyle. What does Impact Diet Whey do? 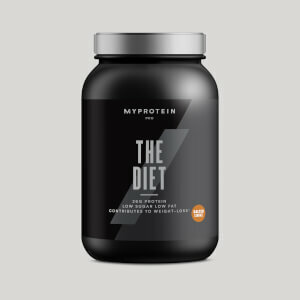 What are the benefits of Impact Diet Whey? 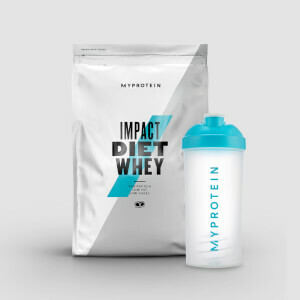 Impact Diet Whey also comes in a range of indulgent flavours, including Cookies & Cream, Strawberry Shortcake, and classic Chocolate — so that you can find your perfect diet shake, no matter your tastes. Who is Impact Diet Whey for? Impact Diet Whey is ideal for anyone looking to up their daily intake of whey protein while following a low-fat, low-carb diet. Our powder is also totally vegetarian-friendly, making it a good option for those following a meat-free diet. What does Impact Diet Whey taste like? Our protein powders don’t just offer great nutritionals, but are carefully formulated to deliver on indulgence — without derailing your diet. We've developed a range of mouth-watering flavours, including Chocolate Mint and Natural Vanilla, to help you keep your routine enjoyable. We recommend that you add 2 large scoops (60g) to water or milk 30-60 minutes after your workout to get the best results from our diet shake. Alternatively, you can simply enjoy at any time for an all-important protein boost. To get your essential amino acids in a convenient way, top up your Impact Diet Whey with Essential BCAA 2:1:1 — the ultimate branched-chain amino acid supplement. 3. Cayenne Pepper contributes to weight reduction/support in weight loss programs. Had anyone else noticed the little jelly like bits ??? What are these ?? I've been using the chocolate mint impact diet whey powder for 11 days now and I've lost 9 pounds one shake in the morning and at lunch and a semi healthy dinner at night im totally chuffed with the results and that's with no exercise. Going to try to start adding that in next week. Only another 22 pounds to go to hit my target. Mixes great and tastes lovely in 250mls of semi skimmed milk. Ok. Noticed there's not many/any reviews here about using this as a meal replacement (as it's not 100% what it's for), but currently I'm using it as this. It arrived yesterday and first time using today. Chocolate Mint flavour, tastes great. I mix with water as am sensitive to lactose so milk would be an absolute no for me and this mixes well with 300ml water. No issues. Breakfast shake was taken at 0900 - Kept me happy until after 1330. Just had the lunch one now. Trying to strip away the last annoying pockets of fat before I start to build up again and hence am limiting my calorie / carb intake but want the protein for lean mass. First day using this today so I'll need to come back and tell you if this worked. So far so good. This product is very good value for money- great tasting, and seems to be working. The shakes are filling me up! I just make them with water, and sometimes are a bit lumpy and don't mix too well (I only use one scoop with a full shaker of water) which is the only downside. Mix one scoop with one egg white, half a tsp of bicarbonate of soda and a bit of warm water. Pop in the microwave for a minute or two til it grows into a sponge-like pudding and VOILA- protein pudding. A great alternative to any naughty chocolate treats. A great guilt-free pudding when served with Greek yoghurt and blueberries, or wven just with some milk poured over it. Mmmm.. Enjoy! Leaning up made easy - or easier! Before incorporating this into my diet, my results in weight loss had begun to stabilise. My diet was great, and I worked out 4 times a week. I've now been using this product for two weeks, I find I have more energy, my weight loss has been consistent and my recovery from the gym has improved tenfold. Highly recommend! 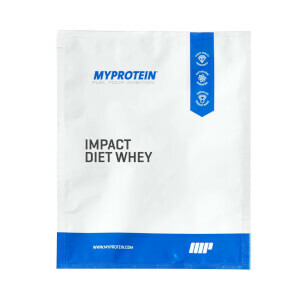 I have been using the Impact Diet Whey Vanilla for around three weeks now, it tastes good and I find it mixes well. I have a shake most mornings for breakfast mixed with almond milk, sometimes blended with oats & berries and I have a shake after training mixed with water. I also ordered samples of the chocolate, chocolate mint, cookies & cream and Strawberry which I have tried after training with water, they all taste good but they probably would be better with milk. I have been training between 2/4 times a week and following a 'clean & lean healthy eating guide'. So far I have lost 2 inches from my waist, 3 inches from my hips and 1 inch from my thighs.